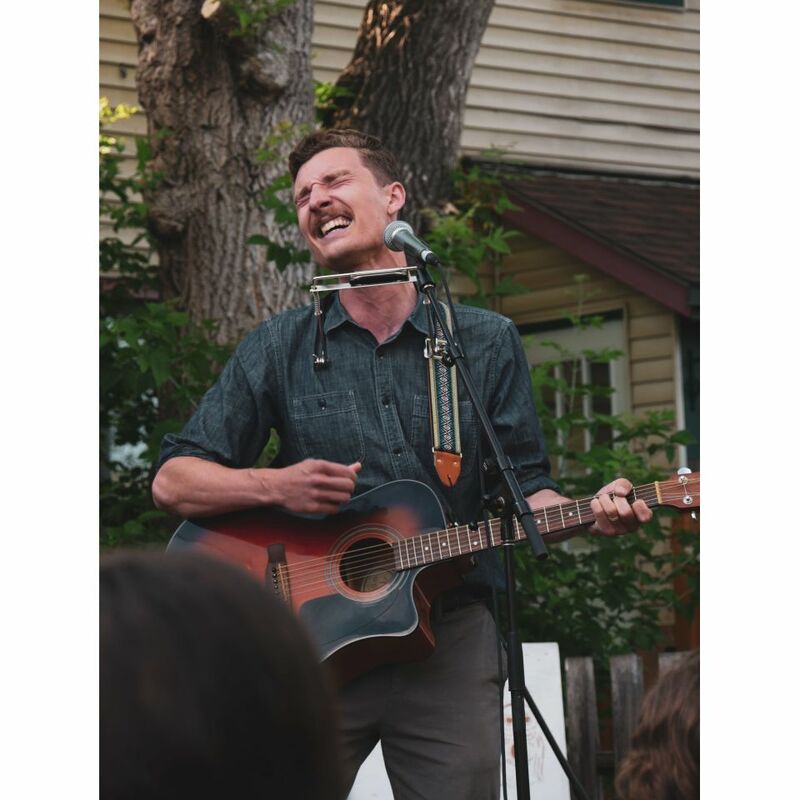 Here North There is the musical start-up of Canadian singer/songwriter Chris Altrogge. 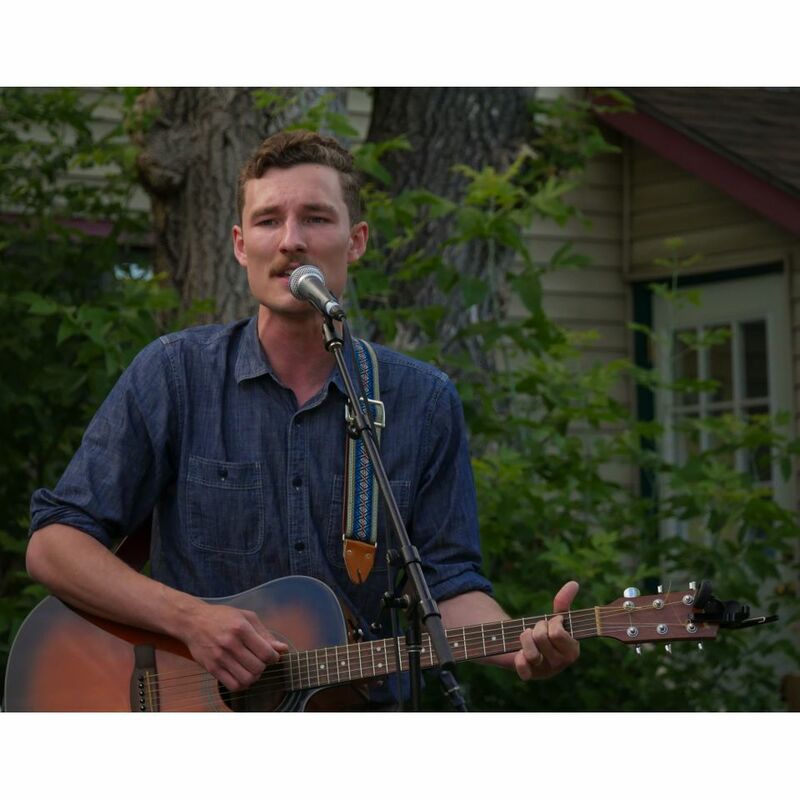 Tying together influences from folk to indie, his songs are reflective of his musical journey so far. 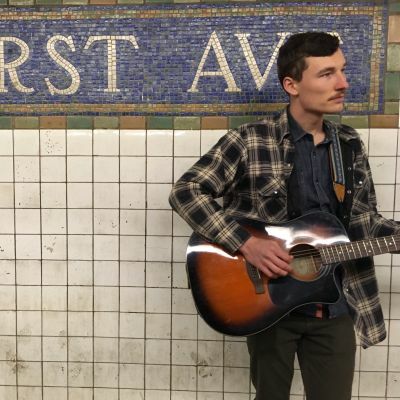 After a move from the Saskatchewan prairies to New York City in 2016, Chris formalized his songwriting under the moniker of Here North There; a name for a wandering Canadian making music south of the border, not being sure as to just where it would go. 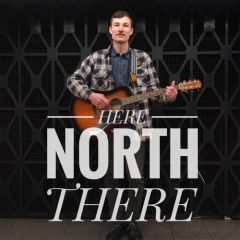 In the NY, Here North There found an audience on the platforms of the subway, and in small East Village venues; playing shows at the anti-folk famous SideWalk Cafe. 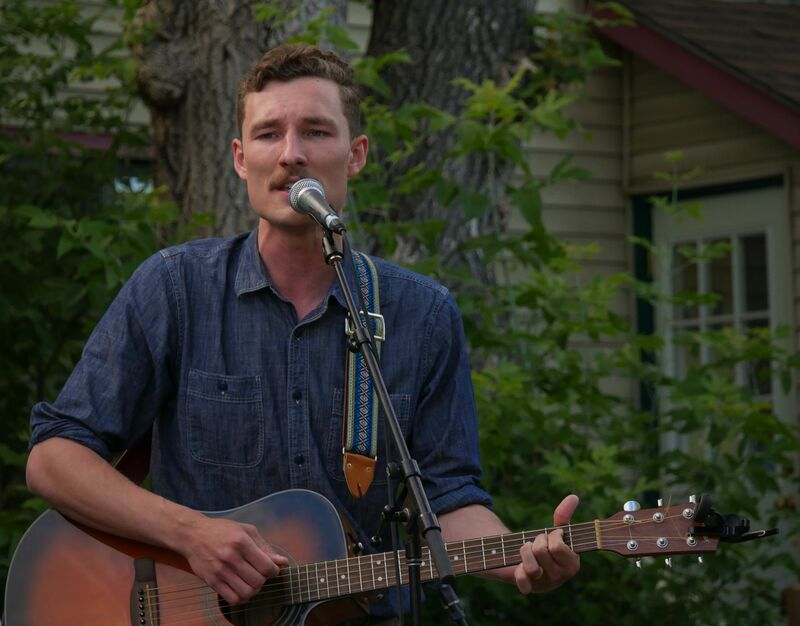 Living up to the name, Here North There crossed the continent, making a pitstop in Saskatoon to record the 2017 single Take Me Anywhere, before heading to the west coast. 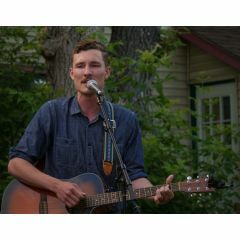 In June of 2018, the collection Don’t Be Gone (And Other Songs) was quietly released online, the result of a songwriting experiment and foray into minimalist recording. Chris brings an element of surprise to each show with his multi-instrumental songs, featuring harmonicas, egg-shakers and tambourines all while strumming and singing away. 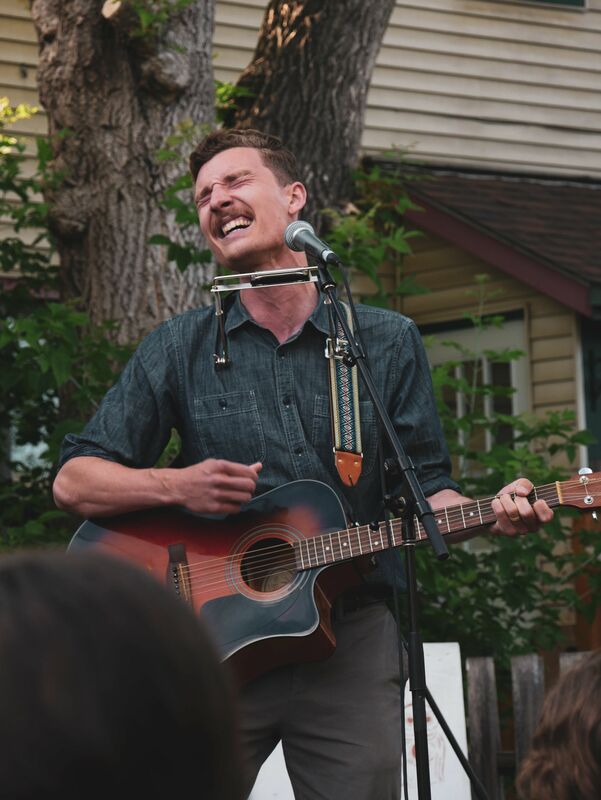 Audiences are part of the band, clapping and singing along through-out the show, and if the night is right, their stories are included in improv lyrics. 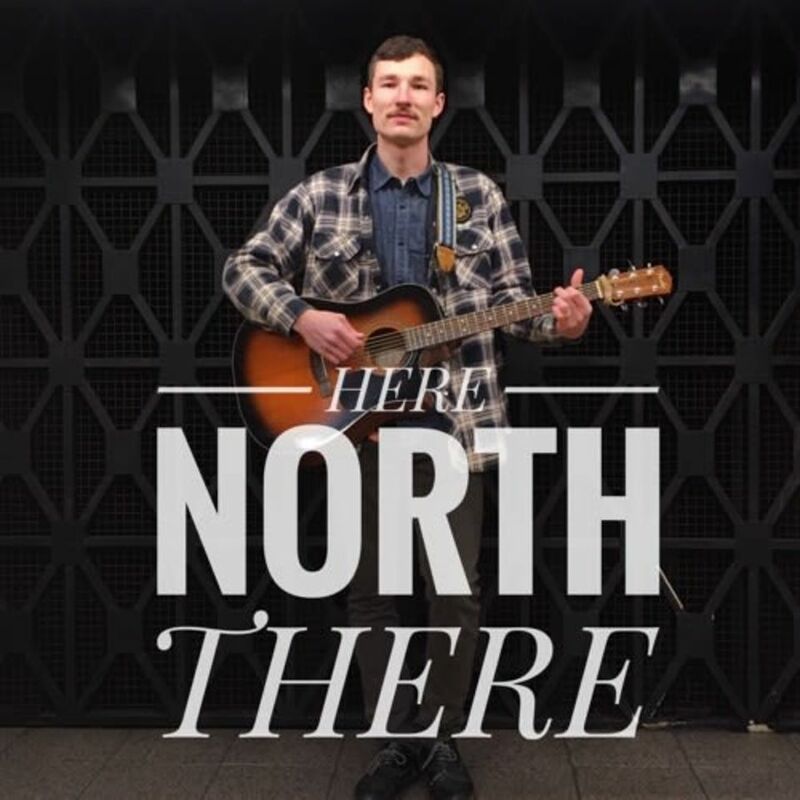 With new music and adventures on the horizon, Here North There can currently be found playing local shows in Vancouver.